Like it has always been there!" All rustic "used timber" framing and paneling was shopped by Odell Design Group. The framing was located in British Columbia, Canada, and Pennsylvania. Of special note: revisions to structural framing were necessary as key pieces of timber were located. 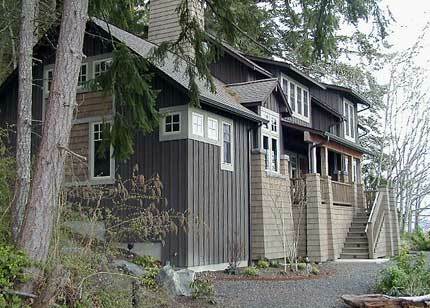 The property is located at the water's edge on Hood Canal, Washington.